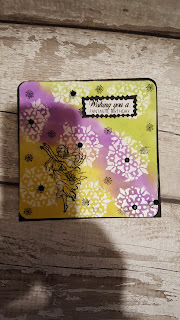 I enjoyed using this technique to make my card. I love to work with the distress oxide inks. Watch my tutorial on how I made the card. Please subscribe to my you tube channel if you enjoyed my video.